Czech Republic’s tuning house EuroTuning is having lots of success with their gearbox conversion kits. In addition to the 02J and 02B gearbox kits, EuroTuning offers a six-speed version for 02G gearboxes and is the only company in the world that can offer that. 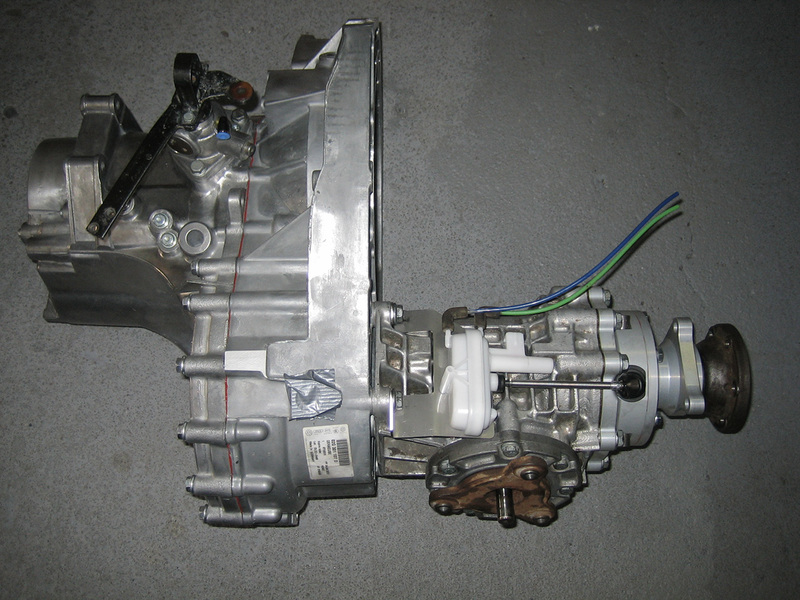 02G gearbox is designed exclusively for cars VW T4. It has a massive structure with greater capacity torque moment (MQ 300 Nm) and is therefore used by the manufacturer in the most efficient engines that are offered for T4. The 02G gearboxes (MQ 300 Nm) is used in the VW T4 models – with the 2,5 TDI 75kW, 111 kW engines. 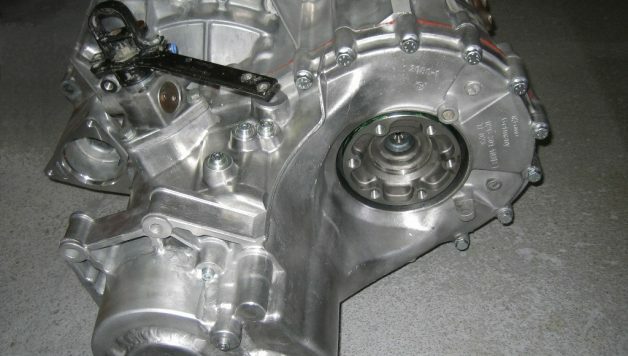 When modifying an 02G gearbox, there is a need to make many changes on the gearbox casing itself. Therefore, the gearbox 02G must be sent to the Czech Republic to upgrade it (this was agreed upon with TNT). After approx. 14 days, they return the 6 speed version 2299 EUR being the price for the upgrade. 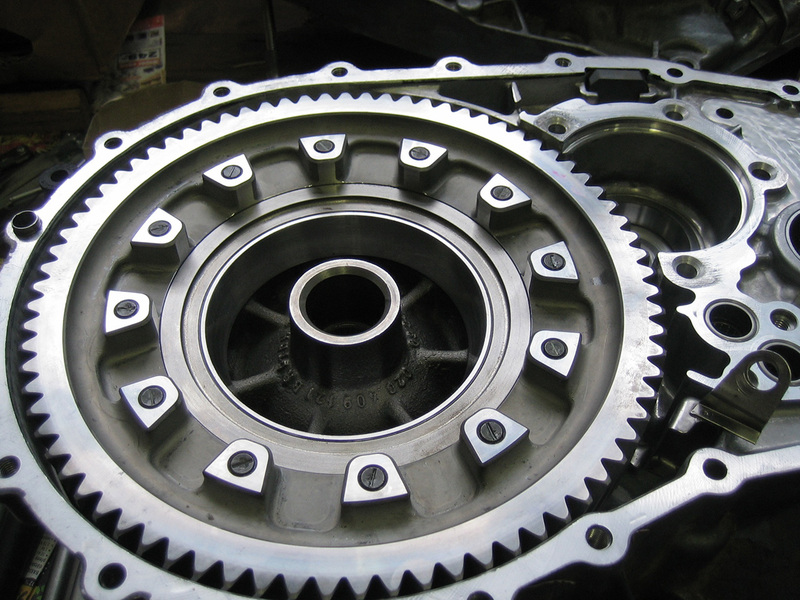 As this rebuilding process includes a disassembly, it is possible to inspect and replace faulty parts, which are unrelated to the modification, but show weariness, which would sooner or later lead to a failure of the gearbox. When replacing these parts, the customer pays no further work, but will be charged per the VW prices of replaced components. The investment on this kit will pay off partially or entirely. It is the only way how to substantially reduce engine noise and fuel consumption. 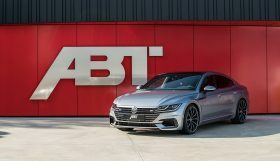 The highest savings will be achieved by those owners of VW vehicles who are used to fast speed and will be able to use the 6th gear after the upgrade. For example, at the speed of about 120 km/h, the consumption is reduced by up to 1,5 – 2l after engaging the 6th gear. Eurotuning’s part kit is an ideal solution for the owners of VW vehicles with series production engines 1,9 TDi, 1,8T, VR6 etc. 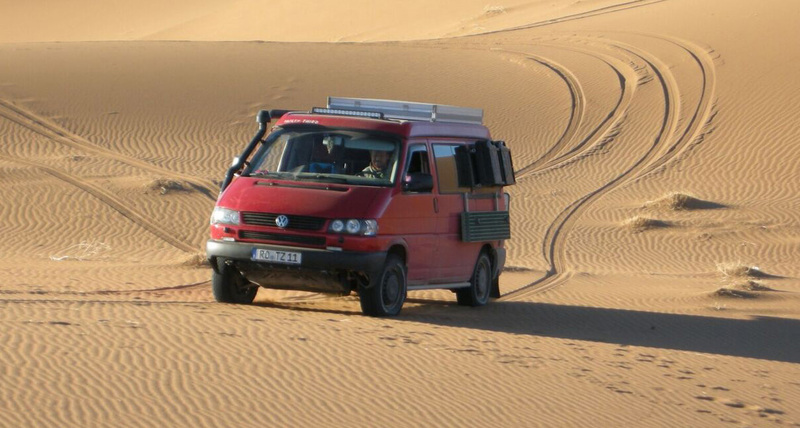 A big customer group for Eurotuning’ gearbox kit are the owners of the VW Transporter T4. The ratio of the gears in the gearboxes of VW T4 is very short in the series production to enable the vehicle to carry a load of up to 1000 kg; however, many owners buy this vehicle because of its big interior and not to transport big loads. 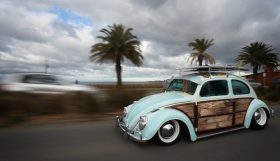 When operated at the 5th speed, the engines VWT4 achieve more than 3000 rpm already at a speed of 100 km/h. Modified 02G gearboxes are designed for both syncro version and for the version with front-wheel drive. 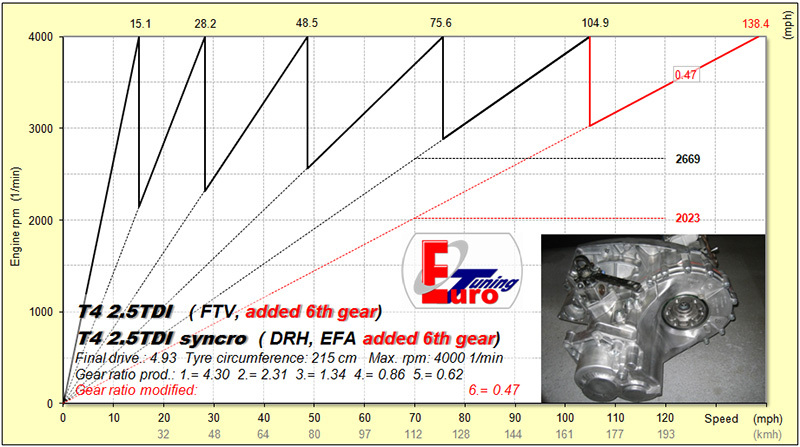 For Syncro version, which has a shorter final drive ratio used for 6th gear is 0.47. For a frontwheel drive gear ratio 0.55 is used. When shifting to 6th gear while at speed of 70 mph, the rpm will decrease by 600/min. This results in significant reduce of the noise in the cabin and fuel consumption. Syncro will certainly appreciate the ability to quickly move down the road without the engine revs unnecessarily high. If the owner of Syncro needed to further improve the driveability of their car in the field, EuroTuning offers other options. 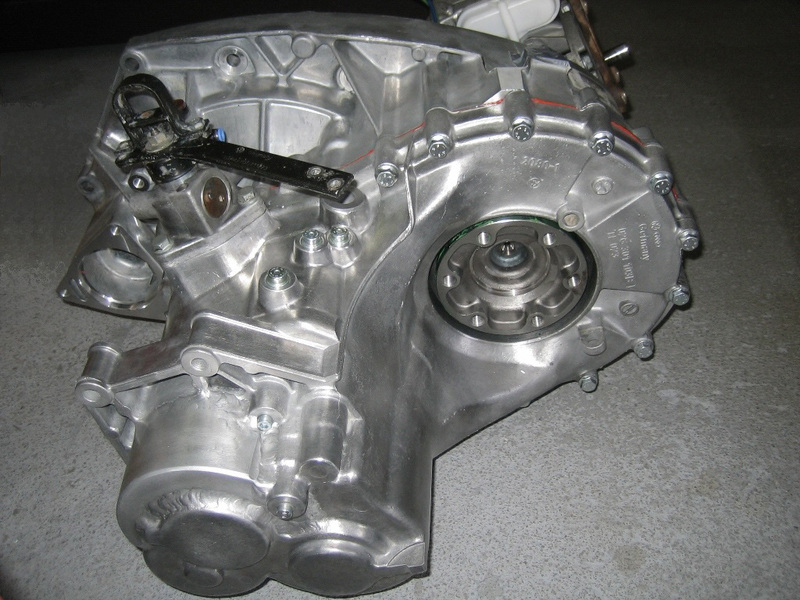 02G gearbox can be fitted with a especially short permanent gear 6:1 and a lockable front differential. With this gear it is possible to manoeuvre sensibly in difficult terrain without the clutch in “jeopardy.” Shifting out the front differential engages both front wheels and syncro gets better throughput than most offroads. So that the modified gearbox is ready for crossing ford, EuroTuning company developed a set of sealing elements, which can close all the utility holes of the gearbox. It is a venting clutch opening above the flywheel for adjusting the injection pump, the access holes to the bottom sump of the engine and gearbox venting, which can be mounted with the outlet tube under the bonnet. One of the proofs of the quality of Eurotuning’s conversions is confirmed by a T4 that already covered 50.000km. Eurotuning modified an 02G gearbox with a final drive 6:1 for a married couple, who have been traveling around the world for almost a year with it, see the image from Google Earth. The gearbox works with no issues yet.